Rs 300 Paytm Cash will be given for every approved Hotel Video Review. Only one video review per hotel per person will be eligible for Paytm Cash. When a holiday idea seems elusive and a travel epiphany doesn't seem likely, let your fellow travellers show you the way. Browse through top hotels and destinations as suggested by millions of HolidayIQ.com Travellers, read about their hotel stay and holiday experiences, and plan your perfect vacation. Here are the most popular holiday destinations you must visit. There's something for every traveller out there. 2. Rs 300 Paytm Cash will be given for every approved Hotel Video Review. 3. 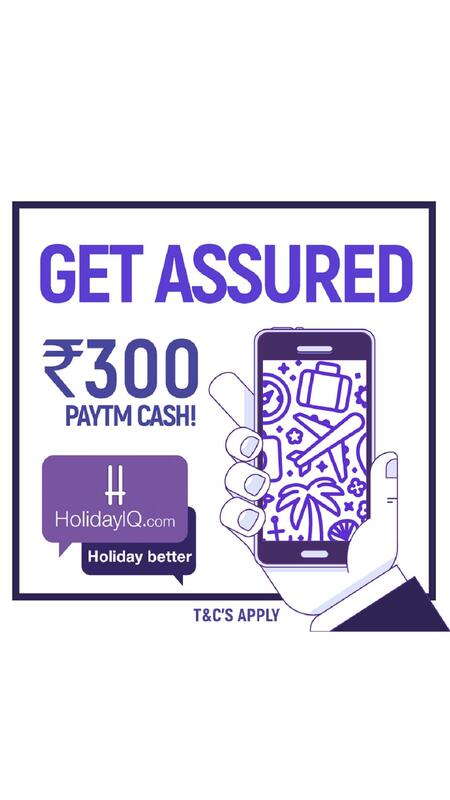 Only one video review per hotel per person will be eligible for Paytm Cash. 4. The unique code for each user will be PTM prefix, followed by users mobile number. E.g. if the Mobile Number is 9999988888, the unique code to get Rs 300 Paytm Cash will be PTM- 9999988888. 6. For the purposes of this contest, a person is defined as a unique mobile device as identified by HolidayIQ. Multiple registered email ids submitting a hotel video review on the same mobile device would be considered as being submitted by the same person. 16. Offer Valid till 30.06.2017.